Silk of the luntaya (one hundred shuttles) interlocking tapestry weave. 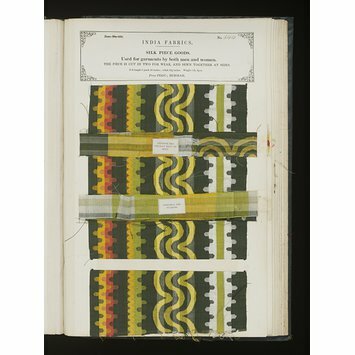 Acheik (horizontal wave) patterned textile. Warp: repeating bands of green, white, lime, yellow and coral. 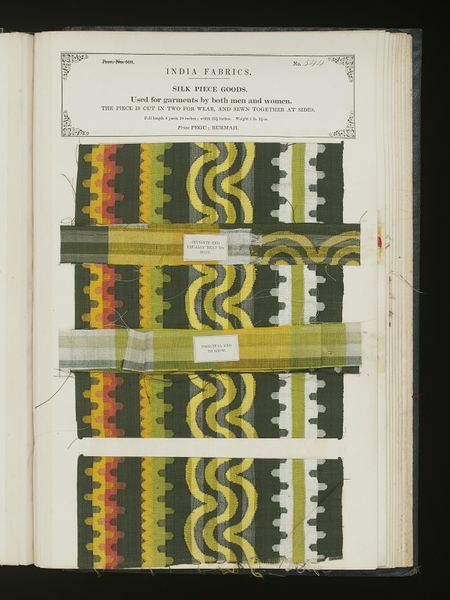 Weft: 3 repeating acheik patterns in the same colours as the warp. Burmese multi-coloured acheik-luntaya silk textile. Konbaung Dynasty (1752-1885), ca. 1870.